For the last few years Broad Heath Primary School has experienced ongoing building works which have put the students at a disadvantage because their playground has been used as a place to store building materials. 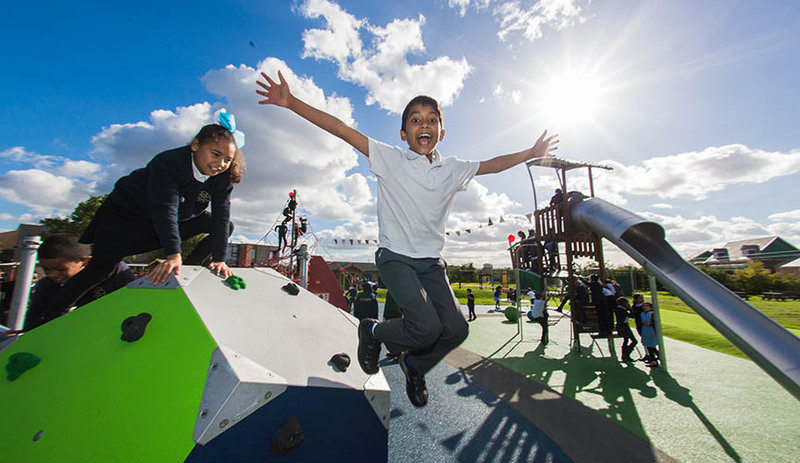 Head Teacher, Ms Frankish, had a vision to transform the space into an exciting playground that challenges physical, social and cognitive skills away from the classroom. The Head Teacher Jane wanted to make the playground a place for play and excitement again, rewarding the students with a totally immersive playground that would inspire the children to create special memories. With the playground opening on the children's first day back at school after summer, the video below captures the students first time on the equipment as each year group comes out wave by wave on their break times. KOMPAN worked with Jane to transform the school's playground into something spectacular. With ongoing support, sharing ideas and creating an exciting design, we were able to make their dream playground a reality. There is a large range of equipment that is inclusive of all ages and abilities, which together provide a variety of opportunities for children to play, learn and socialise together. 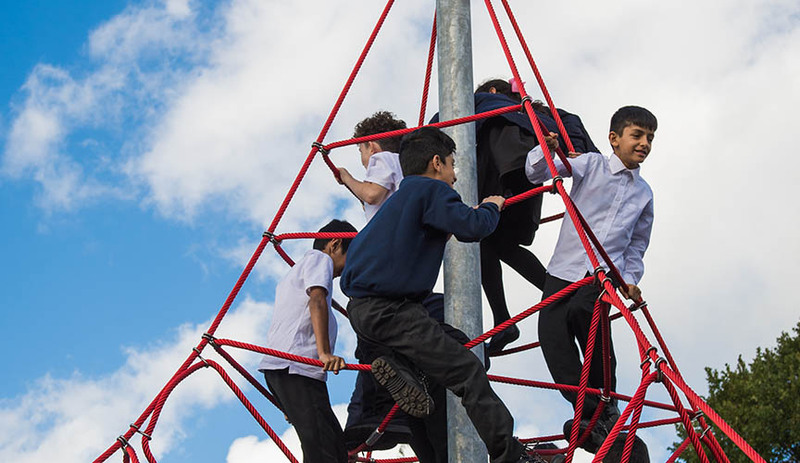 With large pieces of equipment such as the Space Net and Amazon tower unit, the playground offers a variety of physical challenges for the older children. As well as creating a great platform where they can engage socially as they climb, challenge and encourage others as they make their way up the equipment. The younger children also have equipment such as the underground Tunnel which they can enjoy, this unit is perfect for role-playing and getting students to engage with others. On top of that, there are also smaller physical challenges such as the Robinia Tower unit that gives them the opportunity to balance, climb and slide. 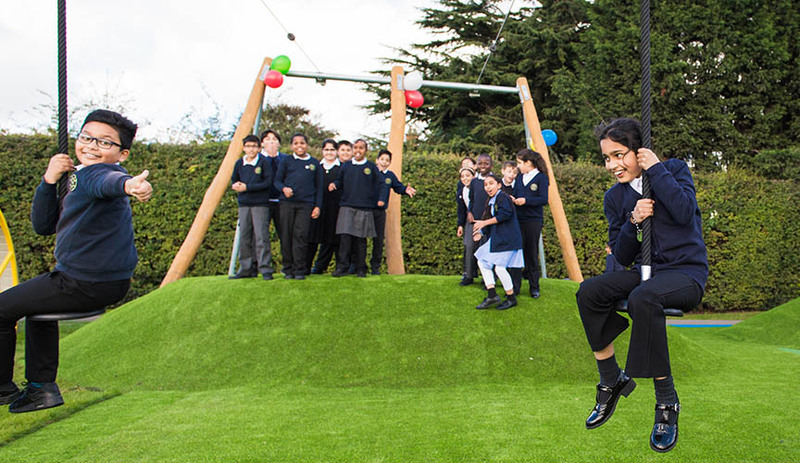 One of the greatest features of the new playground is the double Zip wire which is already a firm favourite with the students. Beneath the thrill and excitement, children are learning to take turns and share as they have to bring the seat back, so the next child can take on the zip wire challenge! 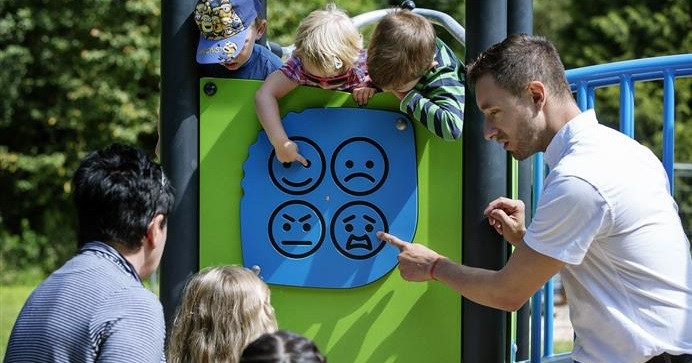 “The project has been absolutely fantastic, fun from start to finish and that’s the whole concept of a play area, the children have fun and enjoy it. The playground is physical, it’s imaginative and it allows them freedom away from the classroom, whilst still being about learning. because the physical programs in school are just as important as the learning programs.